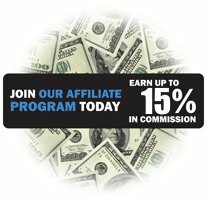 R43DS.org Affiliate Program - Earn Up To 15% Of Each Sale! Want to earn extra money from your web site? You can! Become a part of the R43DS.org inner circle and make money just by letting your visitors know about the wide range of R4 3DS products and a wide variety of video game accessories. You too can become a part of our inner circle and start earning a referral fee every time one of your visitors comes to our web site and makes a purchase. It is simple to do, and it is 100% FREE to join. We use state of the art affiliate software that tracks each and every visitor to our website. If they clicked on a link and came from your web site, we'll give you up to 15% of every purchase made. Unlike most websites that keep track of the visitors you send for just 15 to 30 days, we make sure that you get credit for the visitors you send for a full 6 months. Sign up. Link to R43DS.org, Make money! Sign up to be a part of the program. 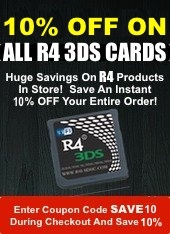 Link to R43DS.org from your web site, with your affiliate ID. We provide the banners and text links so set up is super easy! Earn commissions of up to 15% from all qualified sales that came from your site. Sit back, relax, and watch the sales roll in. After signing up to be part of the program, you link to our site from yours. The links contain a special tracking code, and when customers click on those links and purchase through us, you earn a commission (up to 15%!) on every item they purchase. We offer coupons, discounts and hold special promotions and giveaways regularly. With discounts of up to 18% and Buy 2 Get 1 Free Specials, your visitors will thank you for letting them know about our products - and for the money they're going to save! Sign up to be part of the program. We manually review all applications within 1-3 business days. Once your application is approved, you will receive an e-mail with instructions on what you need to do to get going and start earning money! Sign up to be an R43DS.org Affiliate Today.